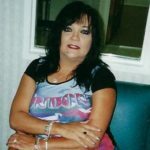 Newport News, VA. – Betty Ruth Williams, 61, passed away to join her loving son Donny and her parents Arthur and Ruth Bagley with a reunion in heaven with Jesus where there is no more pain on Friday, April 12, 2019. Betty was a loving mother, sister and grandmother and is survived by her daughters, Amanda Griffin of Newport News and Alayna Williams of Jacksonville NC; a brother Glenn Bagley and his wife Mechelle, granddaughters, Shalin Presgraves and Ashley Griffin and a niece Jessica Bagley and nephew James Pace. A Celebration of Betty life will be held at a later date. Arrangements are by Amory Funeral Home, Grafton, VA.